Tim Duncan is retired now, which still makes me sad. We don’t get to see him play basketball for the Spurs anymore, and we don’t often get to watch him talk to people (of course, he didn’t really talk to people even while he played, so I guess that part isn’t really missed). But the internet is a lovely place, and it’s given us something we can cherish: another Tim Duncan interview with an ex-teammate. 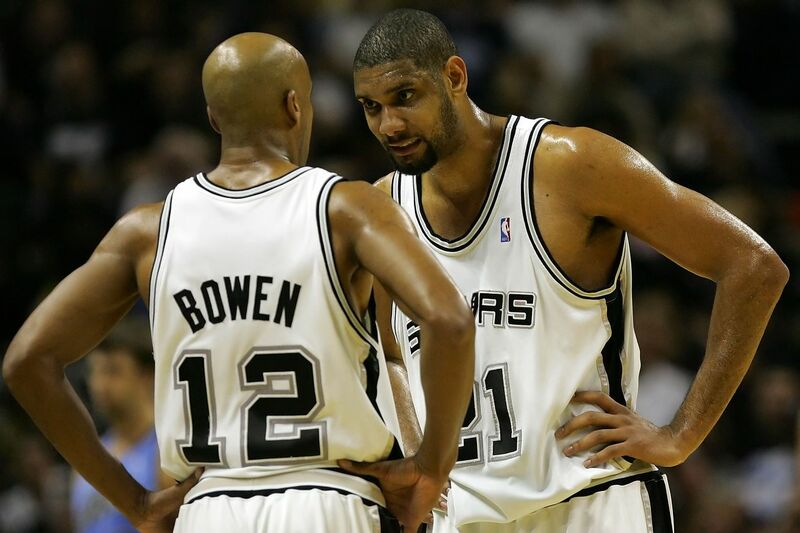 This one took place in 2016 at Tim Duncan’s car shop in San Antonio, where he and former teammate Bruce Bowen discuss Timmy’s love for cars, his early days in the NBA and being a mentor to young players. It’s not long, but it gives us great insight and it’s a chance to see Timmy talking again. So yeah, it’s worth the time to watch it.